Each day in December, someone gets to open a gift from under our tree. 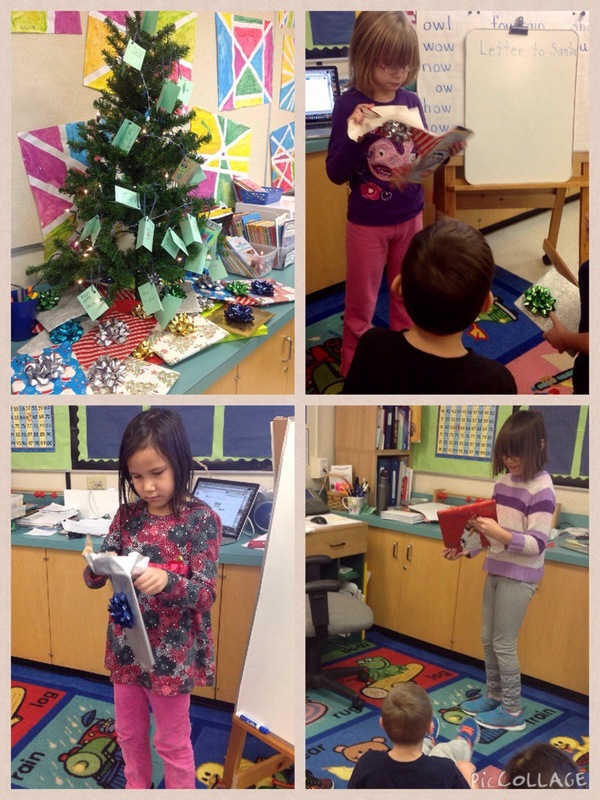 Each present contains a new book for our classroom. Opening the parcel to find out what our new book is is a definite highlight each day. Our school community contains some of the most generous people I know. Year after year, they give towards all of the charities and projects the school sponsors. Thank you, Westmount! All of the classes in the school participated in Operation Christmas Child, so when the time came to deliver the boxes to the waiting ambulance for transport, all the students chipped in to get them there.